Whether in the board room or the weight room, Novo is the premiere chair for active achievers, engineered to help you gain an edge no matter who or where you are. Our expansive "bend and stretch" functionality provides unprecedented leg and spine relief, to help you to recover with greater efficiency. Novo's superior design offers more than just style. 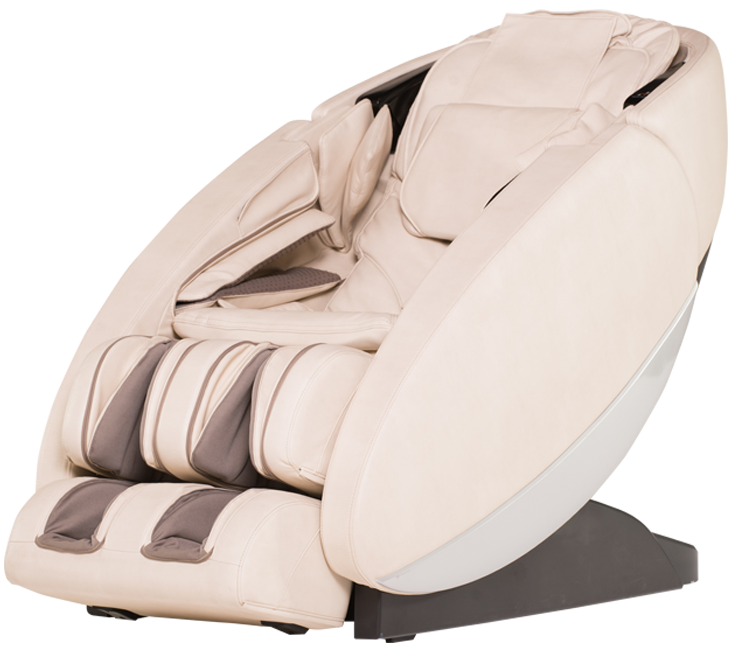 The L-Track Unibody design covers more than 60% of the back side of traditional chairs and is designed to cover chair performance from the neck and shoulders down to the hips. Easily manage the Novo's full suite of programs and features using the intuitive navigation control, which features a crystal-clear LCD screen. Enhance the relaxation of your massage with the sounds of your favorite music, using the built-in bluetooth speakers on the Novo.